Last week, the Eichler community lost one of its brightest stars. 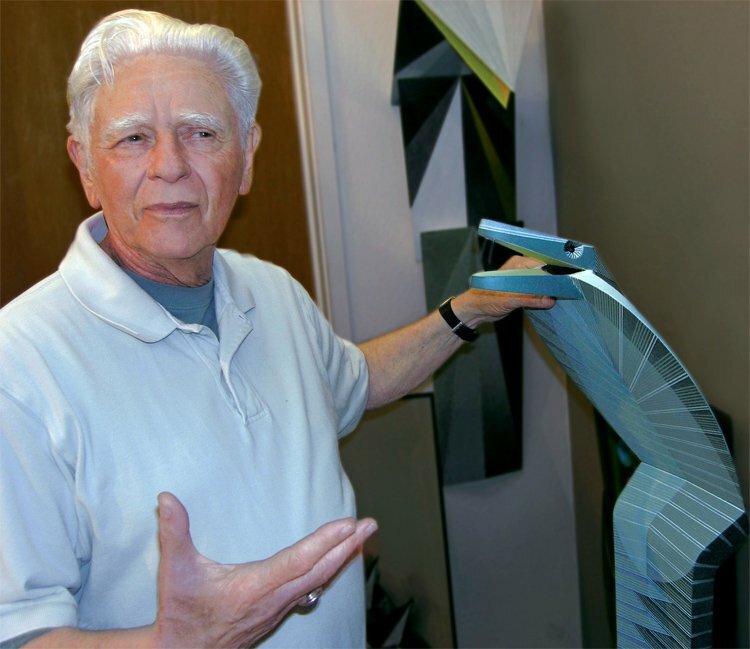 Stanford Professor Emeritus Matt Kahn, who taught at the university for 60 years and worked as a designer with Joe Eichler for a decade, died on Monday, June 24. He was 85. 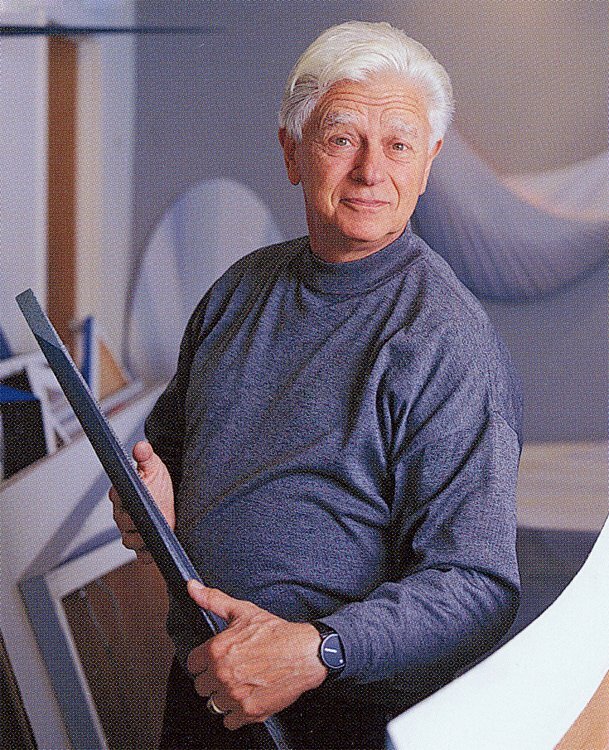 Born in New York City in 1928 and educated at the Cranbrook Academy of Art in Bloomfield Hills, Michigan, Kahn arrived at Stanford as a design instructor at the age of 21, before he had even graduated. He spent the next six decades building a reputation as an intensely creative and demanding artist and teacher. “One of the things I really liked about him was he was a really feisty guy. Not mean but on the edge. He was famous for coming down hard on his art students if he thought they were coasting,” said David Weinstein, features editor at CA-Modern. 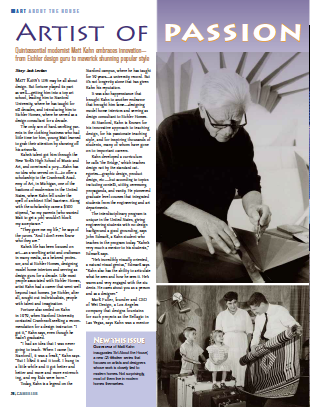 A former student of Kahn’s, Trudy Myrrh, spoke to CA-Modern for a 2008 profile (linked below). “I found myself crying a couple of times,” after Kahn criticized her work, she said. “Then I would go to his office and he would give me a big hug. He could be withering in his critiques, then turn around and be warm and loving.” Kahn wanted his students to do the most inventive art they could, and he wouldn’t let them get away with anything less. Kahn and his wife Lyda, a weaver who died in 1990, started working with Joe Eichler in 1954. They designed interiors for most of Eichler’s models and helped him choose colors and create company graphics. a place that supports those qualities as completely as Eichler Homes did. I refer to it as a kind of designer Camelot,” he said in 2008. 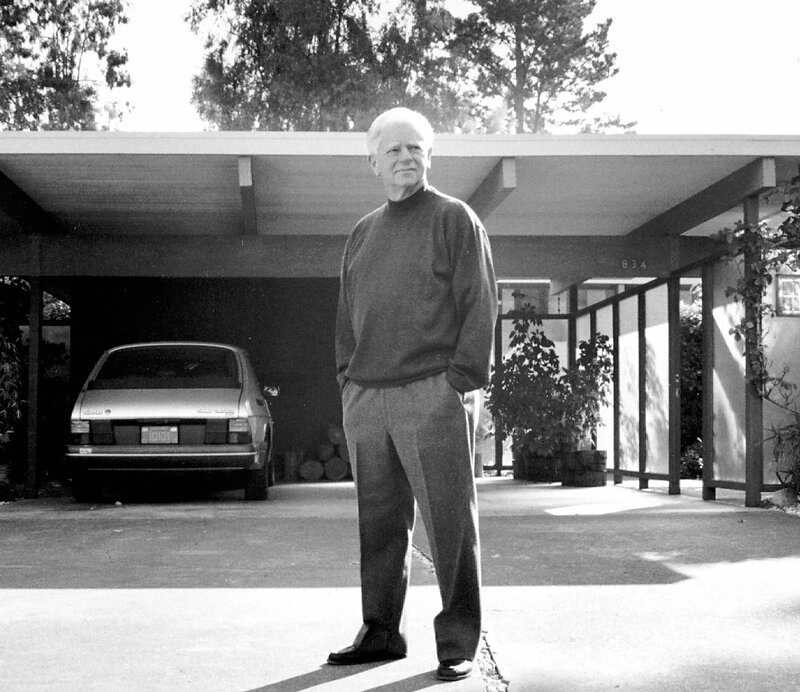 Kahn, who lived in a Jones & Emmons-designed Eichler on the Stanford campus, saw the homes as instigating what he called “a riot” of design. His was crammed with art pieces, decorations, and exotic souvenirs from his own extensive travels. He bristled at the question of what décor “goes with” an Eichler. “This is a permissive situation,” he said of the homes’ design potential. Kahn is survived by his son, Ira, and his daughter, Claire. According to Stanford’s news service, a memorial event celebrating his life will be announced in the coming months. Meanwhile, his family requests that memorial donations be made to Americans for the Arts. For more on Kahn, read his obituary at Stanford News, and check out the CA-Modern profile, below.